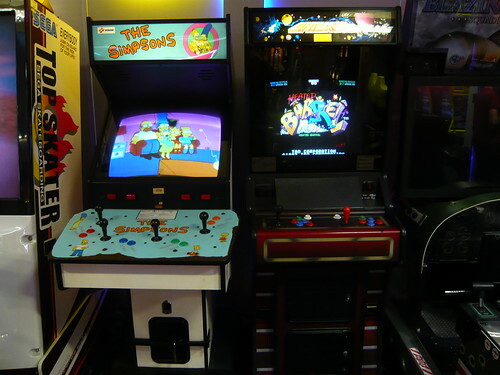 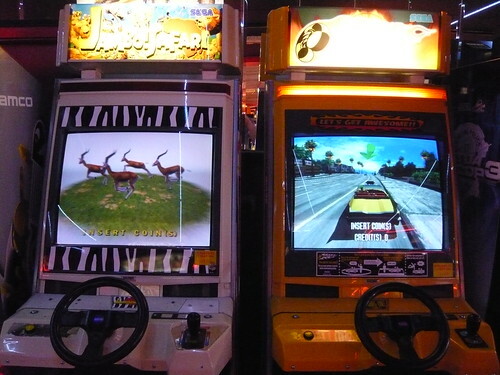 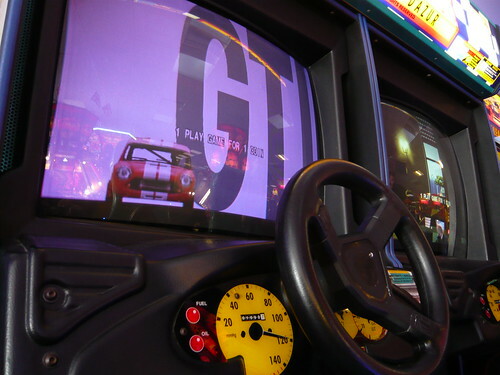 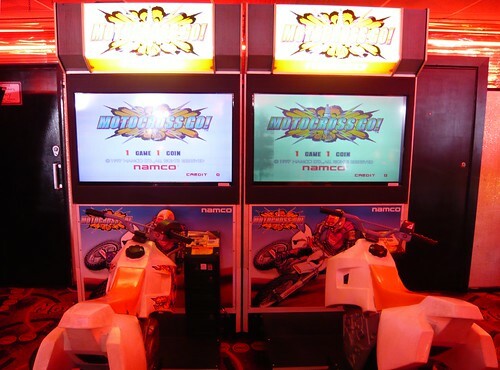 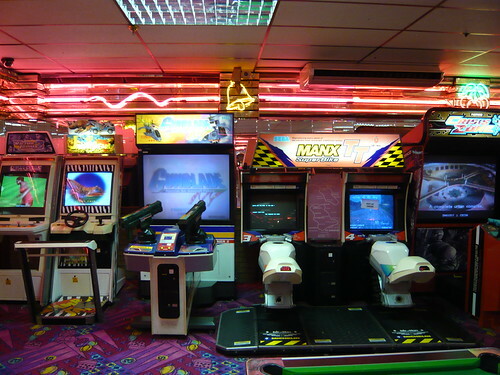 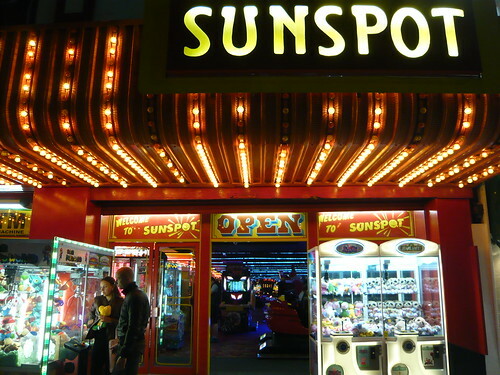 The arcades along the seafront still have a lot of video games, and the video game to fruit machine ratio is pretty good, especially compared to other seaside towns. 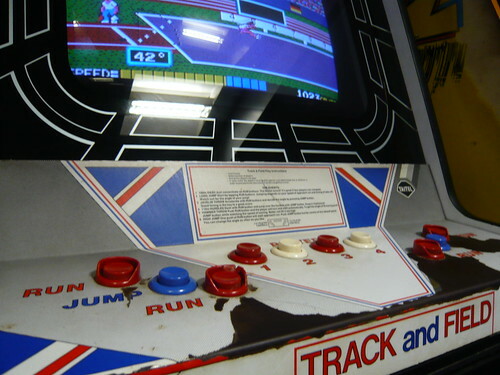 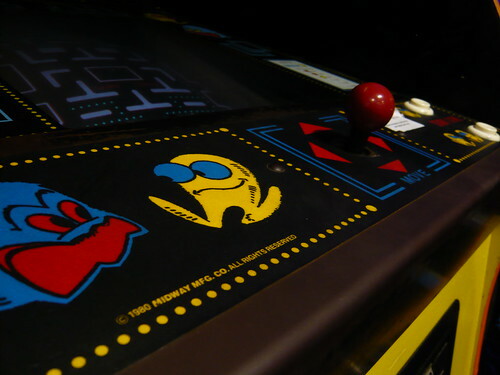 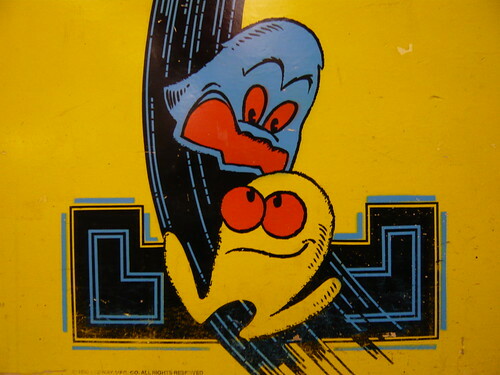 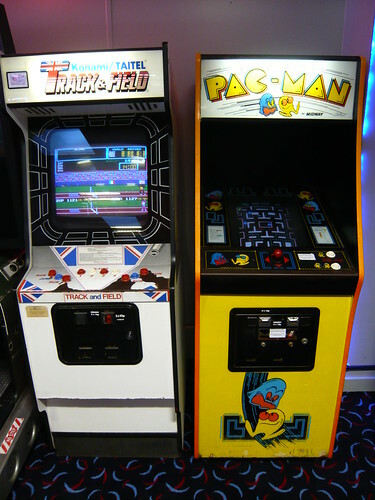 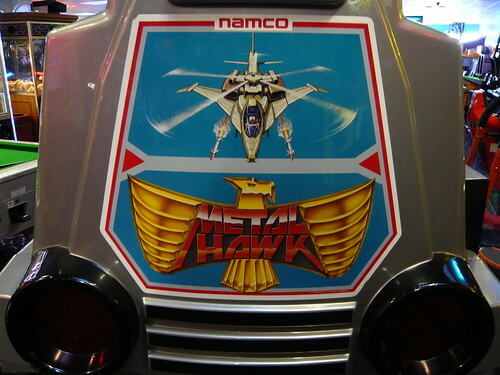 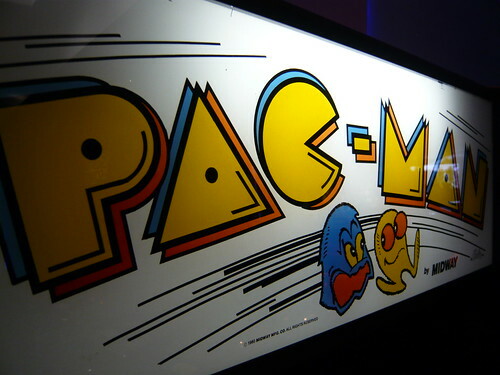 This arcade has some real classics, including original Pac-Man and Track and Field cabinets, and the awesome Metal Hawk. 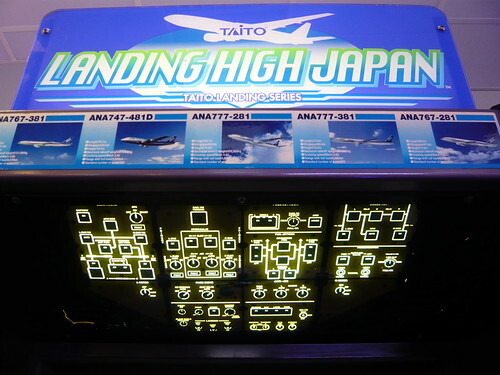 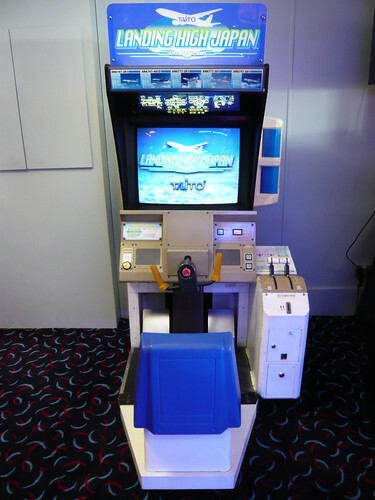 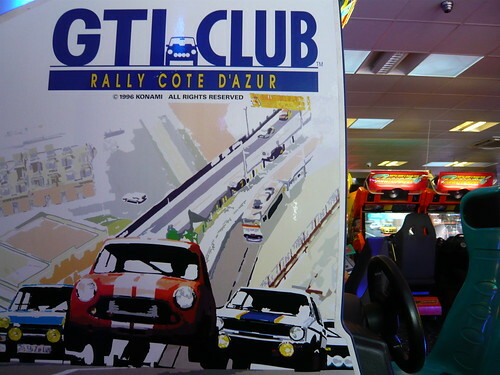 I also enjoyed a few credits on GTI Club and Landing High Japan, and it was cool to see Heated Barrel running in an Electrocoin Xenon cabinet. 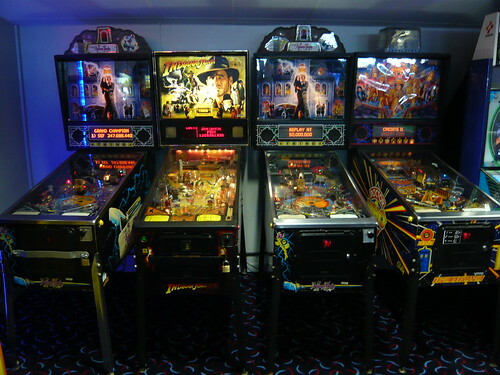 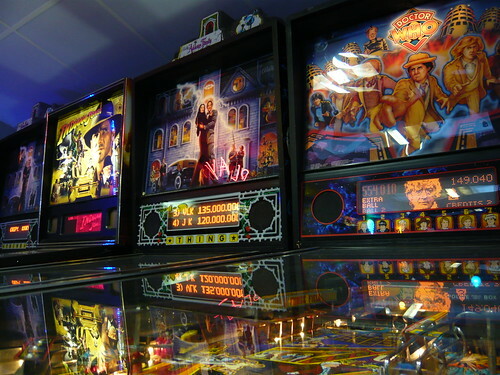 The arcade had a nice selection of pinball tables. 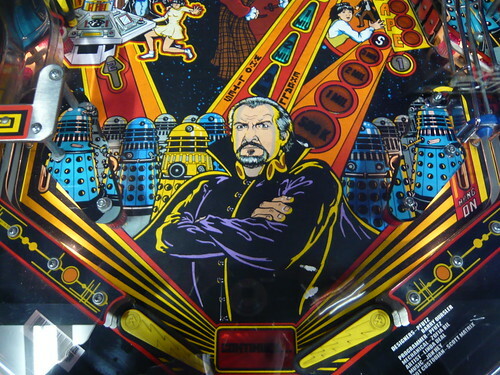 I had a real blast playing Doctor Who! 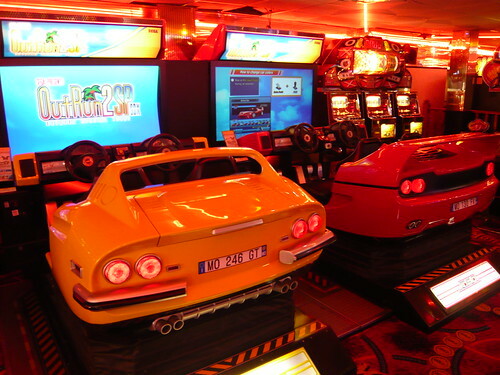 I had a great time in Happidrome. 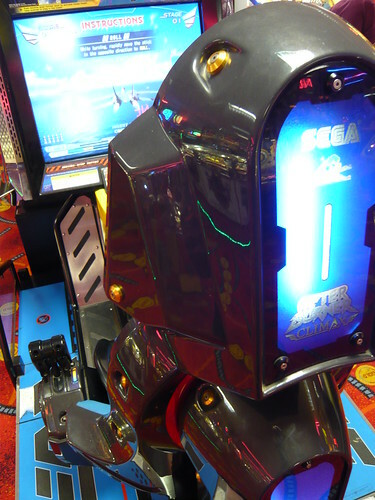 It’s really nice seeing a seaside arcade with classic arcade cabinets in good working condition being played and enjoyed by the public. 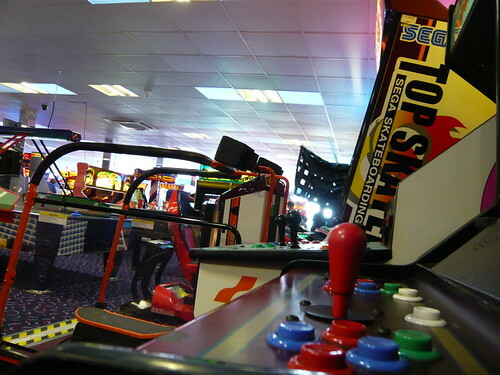 Unfortunately the weekend after our visit the arcade was flooded out following a storm. 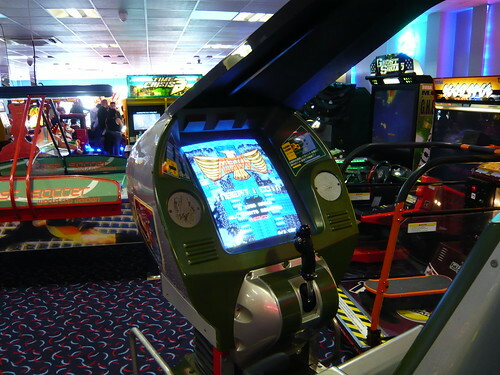 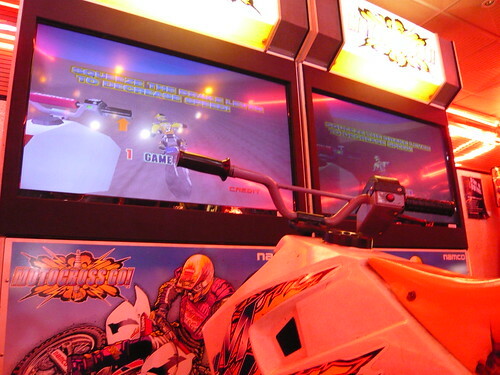 The arcade suffered similar problems last year. 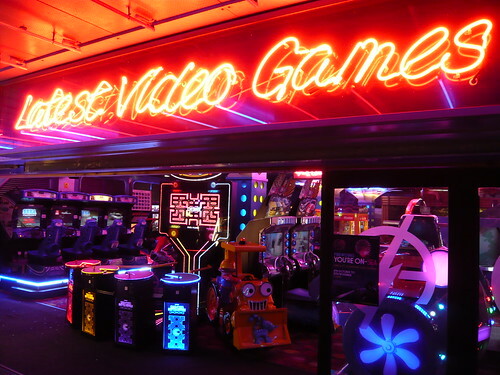 The Happidrome facebook page states that they plan to re-open again in a temporary capacity in a few weeks, and then shut down for the next revamp. 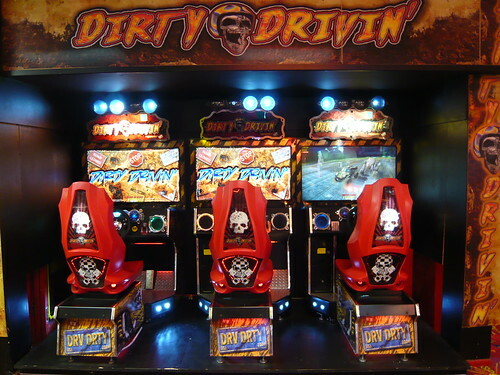 Check their page for updates. 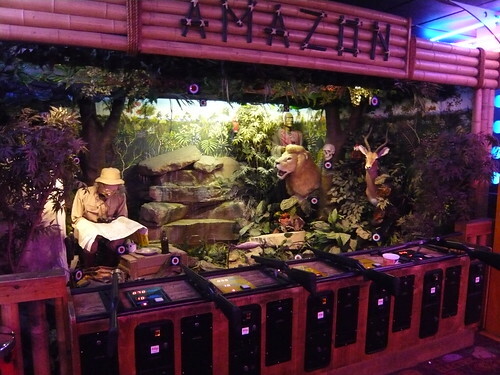 This arcade has a nice selection of dedicated cabinets. 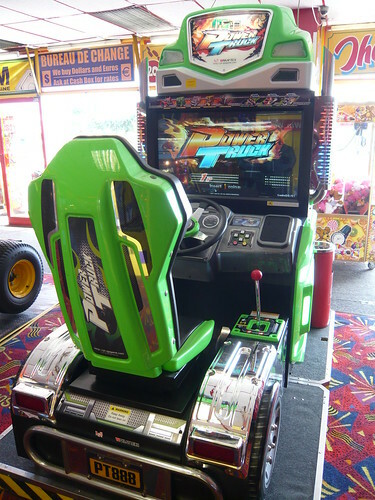 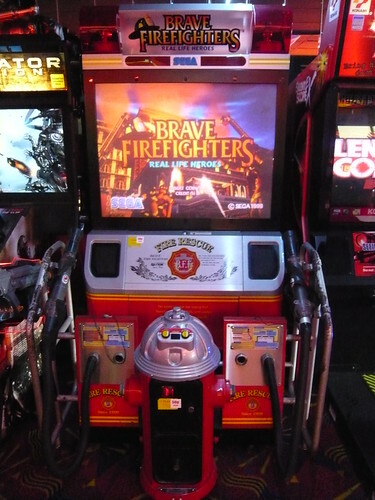 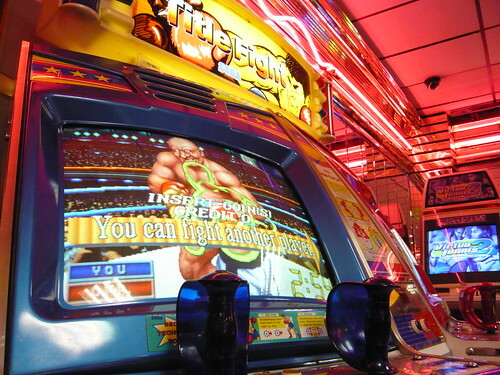 I first saw Brave Firefighters in an arcade in Chiba, Japan around the time of its release in 1999 and for years regretted never playing it. 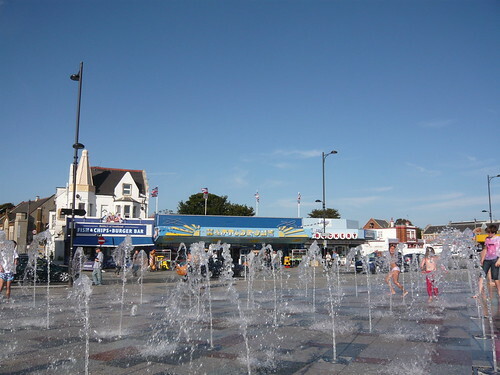 Then in 2009 on a weekend in Southend I was very happy to see a Brave Firefighters machine again. 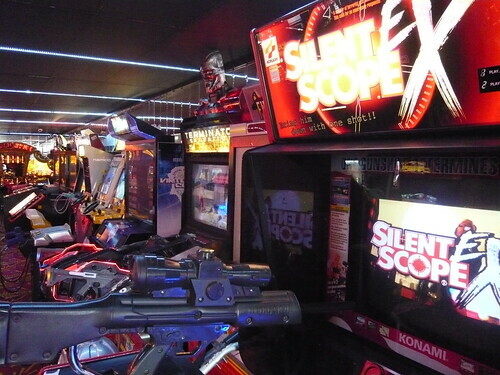 It’s good to see the game still up and running. 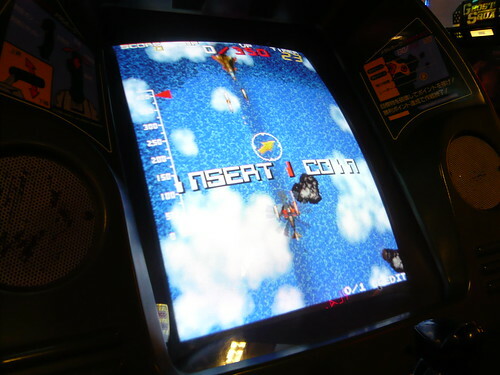 The game is powered by the notoriously fragile Hikaru hardware, the same system as Planet Harriers. 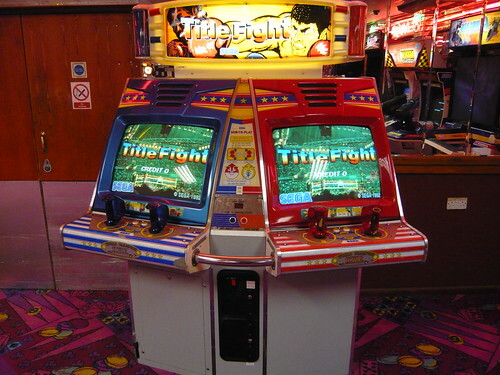 This is still the only Brave Firefighters machine I’ve seen in the UK. 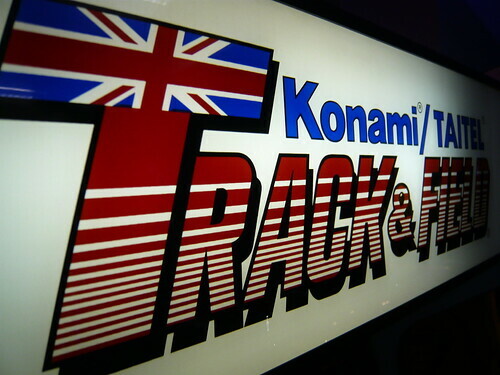 I really like this game. 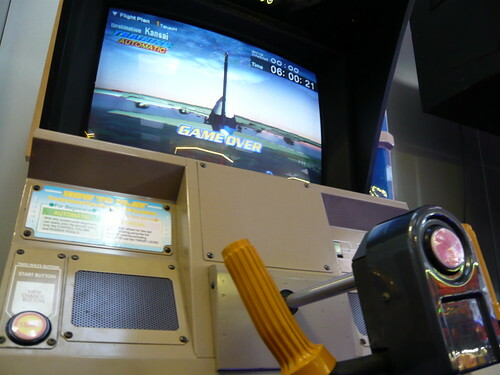 Its fun, the hose controller, complete with adjustable nozzle is pretty unique and the graphics still impress today.